Following the correct procedures and including the information required for each incident type can be very difficult when the pressure is on and people are waiting for information. 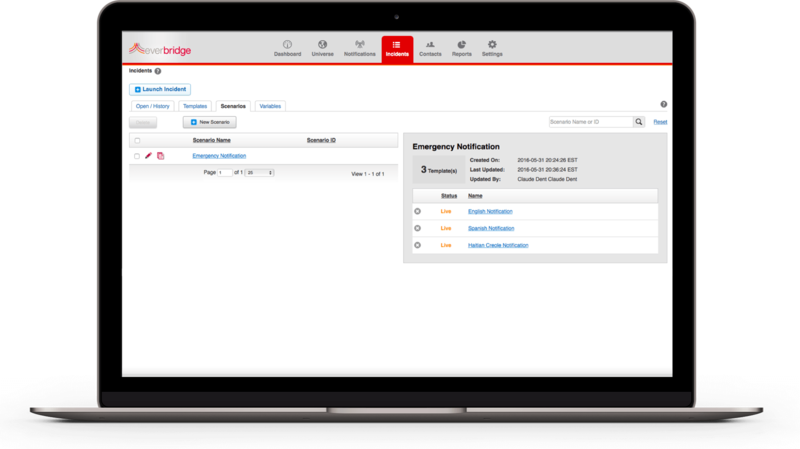 Incident Management can be configured to fit the needs of any organization or government agency with customizable variables and a separate incident response plan by location, line of business, or facility. Since incidents are often not isolated and frequently have a cascading effect, the solution is also designed to manage multiple events. Reports provide details on incident status using real-time dashboards. You can even separate communications plans by location, line of business or facility. Relying on manual incident response outreach efforts leads to missed recipients, incorrect and incomplete notifications and delayed response times. 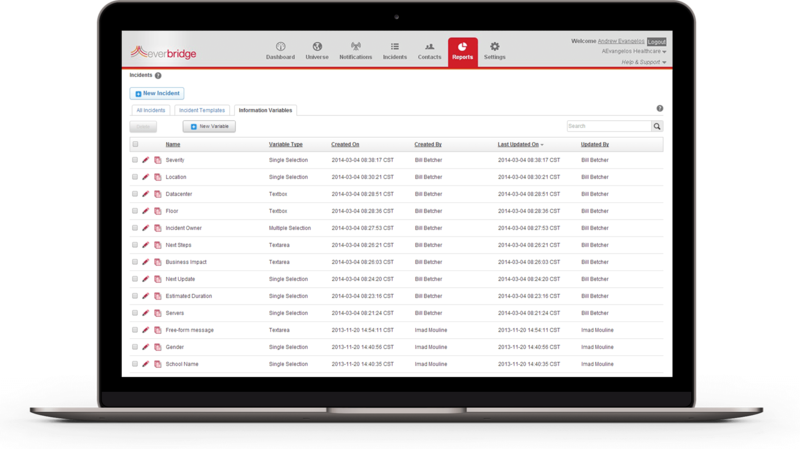 The easy-to-use interface ensures the right incident communications processes are followed at the right time, and that clients are notified based on the type of incident taking place. Messages are consistent, error-free and complete every time they are sent to responders and stakeholders. Tracking and reporting on test and live incident response can be time consuming and can prove difficult to provide auditable record of communications, satisfying security plan and other regulatory requirements. 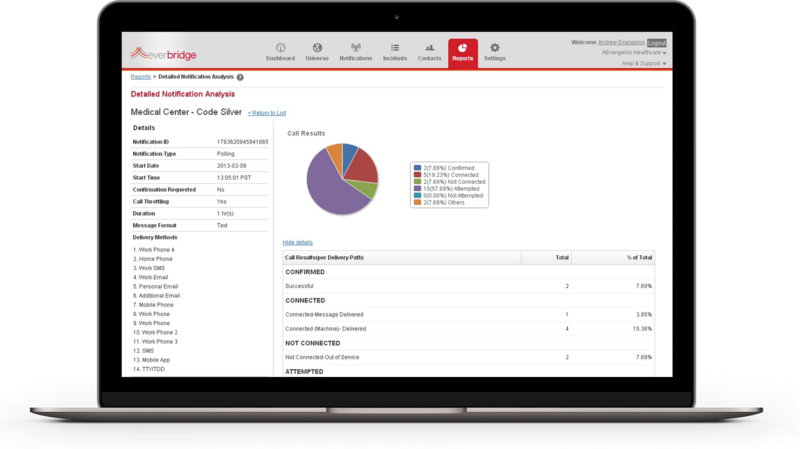 Incident Management provides real-time reporting and creates an audit trail for all journal entries, along with outbound notifications and acknowledgements by response personnel, for compliance purposes. Without the right message templates, time can be wasted and responders can send confusing or inaccurate notifications, when seconds count. 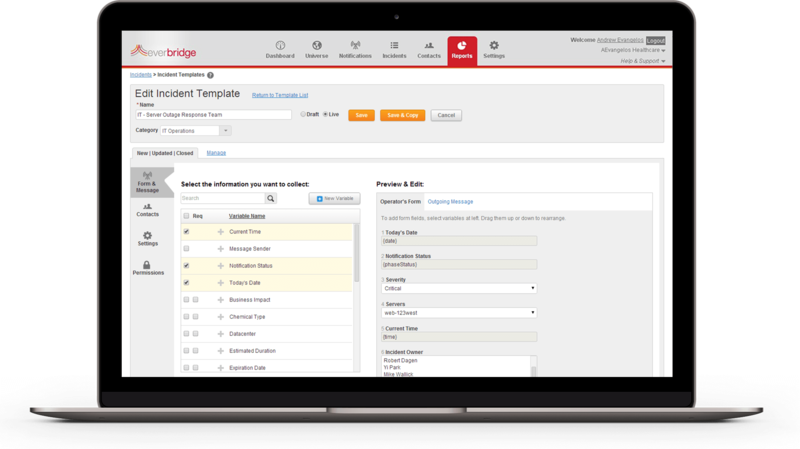 To improve the effectiveness of your incident communications, Everbridge provides access to pre-built message templates designed with clear & concise words, customized details based on the incident type and dynamic selection of recipients based on severity, location, required skills, on-call status or any variables you choose. Use the web form and we'll get back to you ASAP.